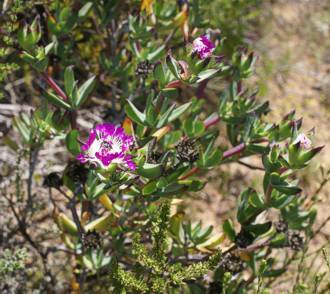 An erect shrublet with striking magenta and white flowers, Erepsia pillansii is endemic to the Piketberg Mountains. A sparsely branched succulent shrub which grows to a height of 80 cm. The falcate leaves are bluish-grey and have a diameter of approximately 5 mm, the branches are a reddish-brown and have a diameter of 4-8 mm. The magenta flowers are borne in a flat-topped inflorescence, and two opposite branches arise below each terminal flower. The petals are white at the base and purple at the ends, these are paddle shaped and very distinct for this species. It has white filamentous (thread-like) staminodes (sterile stamens) and the flower is 30-60 mm in diameter. The fruit capsules are 13 mm in diameter with 10 locules per capsule. 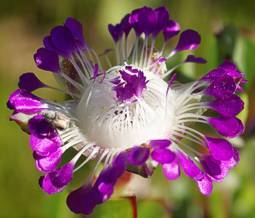 The main flowering period is in the spring (August to September) and this species flowers prolifically after a fire. Erepsia pillansii is listed as Vulnerable on the South African Red List. Threats include the clearing of natural vegetation for orchards, buchu farming and vineyards. Alien invasive plants, especially pines, are a major threat to the future of this species. Other threats include development of resorts, the construction of large dams and incorrect fire regimes in the area where this plant occurs. The results are that the natural habitat of Erepsia pillansii is fragmented and disjunct. The Piketberg vygie grows on sandstone soils and can be found at altitudes between 500 and 1000 m. Marloth described this species as `abundant' in the Mouton Valley in the Piketberg area in 1922. Since then the habitat in this valley has been highly modified by dams and agriculture. Erepsia pillansii can now only be found on slopes and on land unsuitable for farming. The name Erepsia is derived from the Greek erepso, I shall hide. The species epithet pillansii commemorates Neville Stuart Pillans (1884-1964), a well-known Cape botanist. Originally described in 1908, under the genus Mesembryanthemum, this plant was reclassified in 1940 and was the only member of the genus Kensitia named in honour of Dr (Mrs.) L. Bolus (née Kensit). In 1989 the genus Erepsia was revised and Kensitia was included under Erepsia as it is similar in leaf and fruit structure, only differing in its odd-shaped petals. Erepsia species do not close their petals at night unlike many other mesembs. 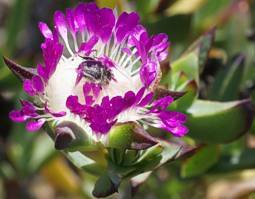 All species within this genus are endemic to the Cape Floristic Region. Erepsia pillansii grows on sandstone slopes in the fynbos which is a fire-driven ecosystem. This species is a re-seeder which means that the adult plant is killed by fire and starts afresh from seedlings. Without fire the plants become tall and woody and their seed production is reduced. They are pollinated by bees and monkey beetles. They generally only grow for 3-8 years before they become untidy and need replacement. The woody seed capsules open when it rains and release the seeds which are dispersed by the rain drops. Erepsia pillansii is grown as an ornamental and is not used medicinally. Erepsia pillansii is easily propagated from seed or stem cuttings. The seed must first be removed from the woody capsule by hand. Seed can be sown in a sandy acid soil. The best time is during autumn. Cover the seeds with a thin layer of sand (2 mm thick) and keep moist. Germination is greatly improved with the Kirstenbosch smoke primer. The stem cuttings are best made during autumn after the plant has flowered. Cuttings should be 60-150 mm long. They can be planted directly in full sun in sandy soil and will root rapidly and can flower in the same season. They should preferably be regrown from fresh cuttings every 3-4 years as they tend to become woody. The Catherine wheel Erepsia is best grown on sunny rockeries in the winter rainfall region. When grown in groups it gives a stunning display in the spring. It also does well in pots and containers on sunny window sills and porches. It is drought-tolerant and ideally suited for summer-dry Mediterranean climates. Liede, S. 1989. Untersuchungen zum Merkmalsbestand und zur Taxonomie der "Erepsiinae" (Mesembryanthemaceae). Beiträge zur Biologie der Pflanzen 6: 391-479. Smith, G.F.; Chesselet, P., Van Jaarsveld, E.J., Hartmann, H., Hammer, S., Van Wyk, B-E.; Burgoyne, P., Klak, C. & Kurzweil, H. 1998. Mesembs of the world. Briza Publications. Van Jaarsveld, E.J. 2000. Wonderful waterwise gardening. Tafelberg, Cape Town. Van Jaarsveld, E.J., Van Wyk B-E. & Smith G. 2000. 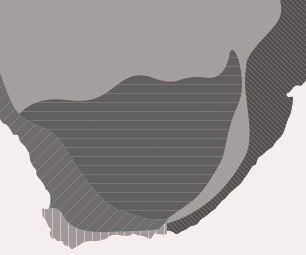 Succulents of South Africa, a guide to the regional diversity. Tafelberg, Cape Town. Van Jaarsveld, E.J. & Pienaar, U. de Villiers Pienaar. 2000. Vygies, gems of the veld. Cactus & Co.
Van Jaarsveld, E.J. & Pienaar, U. de Villiers Pienaar. 2004. Die Mittagsblume n Südafrikas. Les Mésembs d'Afrique du Sud. Eugen Ulmer, Stuttgart (D)/Paris (F).